Click on the "Configure My Lead" button to get started. The configurator will walk you through a series of simple choices to quickly get to a part number along with a digital representation. An email is automatically sent to Weldcoa containing all the information you recently selected. The Weldcoa team quickly responds back with an official quote and lead time. You now have the information needed to make a purchase if desired. The industry's most elaborate, in-depth lead configurator for both charging and discharging flexible leads (pigtails) is now available! This new on-line selection guide is a software tool intended to provide some guidance for high pressure gas lead (hose/pigtail) selection based on cylinder application, pressure, safety measures and medium. This particular configurator will not allow you to configure a lead that is deemed unsafe or does not exist. 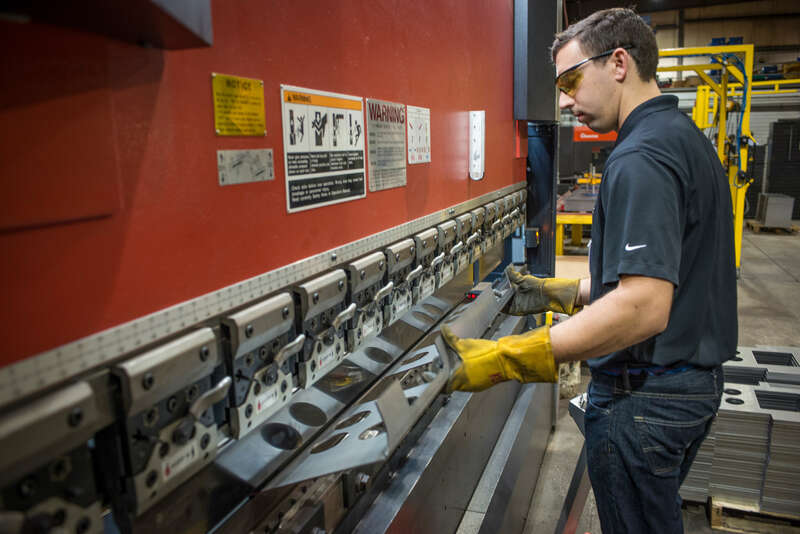 This Lead Selector tool is unique in the industry for it was designed for both charging and discharging leads selection. Having the proper lead for the proper application is a huge safety concern that is, unfortunately, commonly overlooked. Discharging leads would be for applications that include distribution of gas from a full cylinder. Designed to dynamically guide the user through the configuration process, making it as quick, simple and easy of a process as possible. Increase your confidence and ease of mind. Systems of rules ensure avoidance of wrong and/or unsafe combinations, which inevitably lead to unpleasant surprises. This simplifies the selection process. Every lead is 100% hydrostatically pressure tested to 1.5 times the MAWP and then 100% nitrogen leak tested. Following the pressure test, each assembly is 100% oxygen cleaned, dried, bagged to the highest safety standards including CGA's 4.1 requirements. For any questions on what is offered or if you have a specialty application, please feel free to contact us at (630) 806-2000 or email us at solutions@weldcoa.com. From the most basic to the most demanding, we have the products, experience and staff that will support you and your customer’s needs better than anyone in the specialty gas industry. We are proud to say all of our specialty gas equipment is engineered, designed, programmed, fabricated, wired, assembled and thoroughly tested at our Aurora, Illinois USA facility. Weldcoa continually strives to exceed their customers’ expectations. With our vast amount of experience involved with the litany of documentation required, as well as our unmatched depth of knowledge and technical expertise, it will become quite clear that Weldcoa is the partner you are looking for.